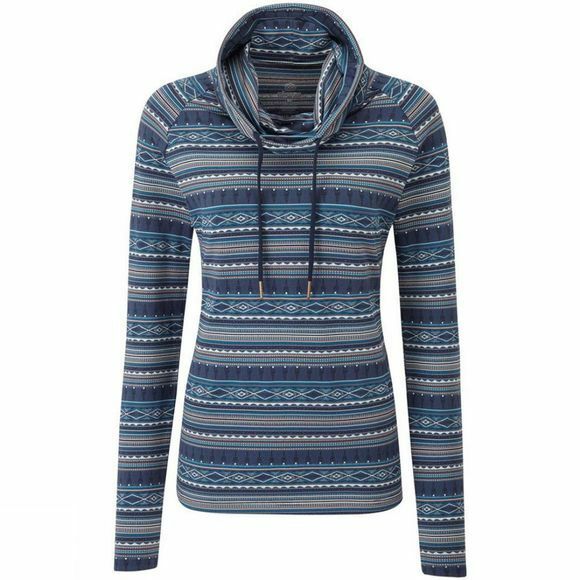 The women's Preeti pullover from Sherpa has been updated with a new Himalayan inspired jacquard pattern and is sure to become a favorite spring or summer layer. It’s made of fabric that incorporates Polygiene technology, which uses silver salts to fight odor and a UPF rating of 50+ will protect you from the sun. Made to take on the road for weeks at a time, shake out of your bag and wear anywhere.